RPGStash Gift Card and how to use it. We have introduced RPGStash Gift Card in early 2014 in order to help our customers to get more flexibility with payments and also to have easy way to give a gift to a friend. After purchasing our gift card you will be provided with unique gift card number which you can use at RPGStash check out in any of our stores. Simply put a voucher code at Voucher field and hit OK.
After applying it you ill be given a discount as per a voucher value and your total cart. 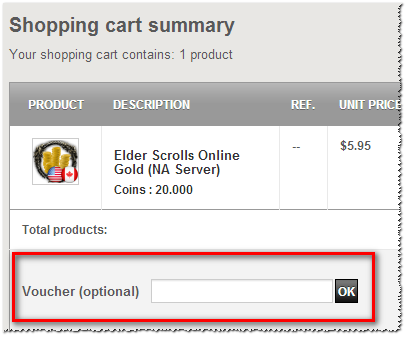 You can use RPGStash Gift Card partially. Please keep your Gift Card number so you can use it later of you did not use it in full with your current purchase. Balance of unused Gift Card is also available in My Account -> My Vouchers.